With combined one on one nutrition and coaching, you will become the best athlete you can be! Stuggling to Lose Weight? Feeling tired all the time? Want to maximize performance? What happens when you eat a carb? Your blood sugar spikes, insulin is released, and your body naturally turns off the fat burning process. This leaves you craving more carbs for energy, hungrier, sluggish from the highs and lows, and weight gain. What if I helped train your body to burn it’s own fat as fuel still using foods you enjoy? Too good to be true? It’s not! I will help you dial in your daily macros (fat, protein, carbs) to optimize your health and performance. It is not just for athletes. I welcome anyone looking to improve their quality of life. I teach you how to control your blood sugar through the balance of nutrients in each meal. This turns on your body’s natural ability to use fat as its primary fuel source. Best part is that there are no gimmicks and no products to buy. Just REAL food. Learn how this is done. Click here. Not sure if you’re ready to commitment to change? Take the test here. As a mom, wife, athlete, race director, and full time business owner, I know what is it like to balance a busy life. It’s why I believe in the TriDot system. You receive quality workouts instead of quantity. Train for your next half marathon, marathon, sprint, or half/full Ironman by maximizing your training time. I work closely with you to make sure you are getting the most out of your training while helping you balance all aspects of your daily life. 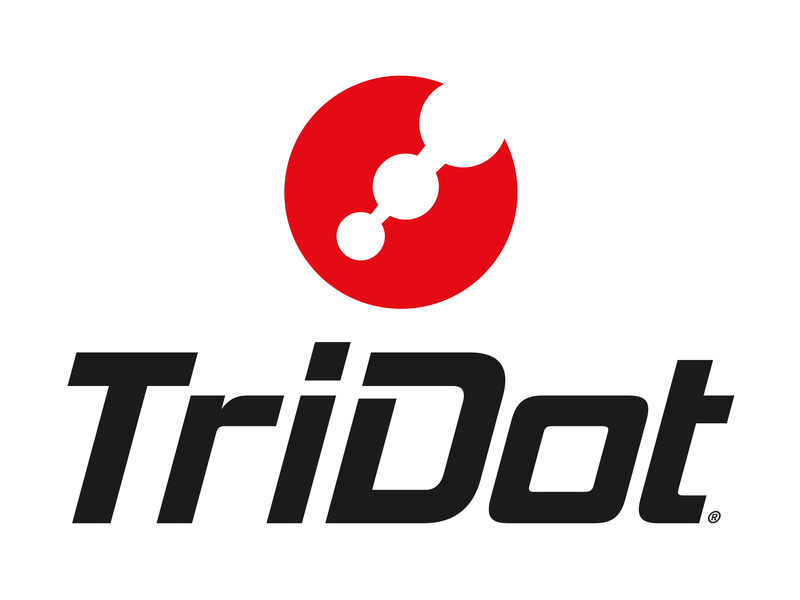 TriDot pricing packages can be found at TriDot. Coached athletes get a 20% discount on all nutrition packages. Coach Jessica Baxter is a great coach. She understands an athlete’s goals and works with them to achieve them. Her empathy is her greatest strength as it helps her understand her athletes and is able to keep them calm and focused during training and on race day. I am so happy that she was my coach for my first Ironman. Her optimism, positivity, and overall awesome personality was a great fit for me. If you’re lucky enough to get Jess, then you’re going to have an amazing experience training and on race day! Jessica brings the right amount of push with understanding of a busy lifestyle. She keeps my training on point, and is great about follow up and follow through. She has help me not only with triathlon but with nutrition as well. As a coach myself, I am critical of how i’m trained, and she brings her A game every week. “With Jessica as my Metabolic Efficiency Coach my training and racing have reached new levels of performance. It is amazing how simple changes to what I eat have lead to better workouts and faster recovery!” – Since becoming M.E., Jeff won the Hogs Hunt 50K on April 19, 2015. Every January I always tell myself I’m finally getting into shape and adopting a healthier lifestyle…and every year I end up putting those priorities on the back burner and then ultimately they get dropped all together. This year it feels different “this will be the year”…I 100% believe that, because I found Coach Jessica and Metabolic Efficiency coaching at Baxter Performance. I’m only 2 months into the program and not only is the weight coming off but more importantly I feel amazing. My energy level throughout the day stays steady, no mid afternoon crashes. Every day I feel stronger and ready for the days challenges . Gone are all the little aches and pains I normally have during training. Every morning I wake up refreshed and recovered ready for the next workout. I know it’s only been two months but I feel really optimistic about achieving my goal of adopting a healthier lifestyle in 2017. I only wish I found this earlier. Thanks Coach Jessica. I can’t wait to see where we are in 6 months. Jessica Baxter literally change my life with her nutrition coaching. I was training for my first Ironman 70.3 race and was having a rough time with nutrition. I was gaining weight , not sleeping well & experiencing post workout fatigue. I was having great success with UCAN during my workouts but,I read that by adding metabolic efficiency to UCAN an athlete could be even more successful. So I scheduled a phone consult with Jessica and she taught me how to eat, not just for training but for every day life! Bottom line by race day I had lost 5 lbs so I was at what I know to be my perfect race weight and I felt fabulous. I scheduled another consult with Jessica to dial in my UCAN nutrition plan for race day and my pre-race meals. Again worked like a charm because by race day my body was metabolically efficient. Not only did I finish Augusta 70.3 at the age of 54 but, I killed my best case time goal! I have struggled with yo-yo dieting and being hungry all my life. Even though my training volume has been lower the last 3 months I am keeping my weight within the 5 lb window I set for myself. I am not hungry all the time because Jessica taught me how to eat healthy without counting calories. Many thanks Jessica for helping me and inspiring so many others with your coaching and racing. Jessica was great to work with for guiding me to become more “Metabolically Efficient” in my training and competition. She was very responsive to the questions that I had through the process and getting my nutrition out for my long training days and races. I chose Jessica because we are both ambassadors for a mutual company and I wanted to get my body to burn more fat for fuel instead of the carbs. Figured that I had plenty of fat, why not burn it. Through the 12 weeks with Jessica I dropped 35lbs before Ironman Louisville and was at my leanest. I felt more energy during all of my workouts without having to rely on the GU’s or sugary sports drinks out there. I do and will continue to recommend Jessica to anyone who’s looking to become metabolically efficient in their athletic endeavors. A coach is defined as one with expertise in their field supporting and guiding a learner or client in achieving a specific personal or professional goal. Jessica, you are much more than that, you lead by example, (there are only a few people that I have met that lead in this way) inspiring me to meet and exceed my personal goals by teaching, guiding, supporting. Your focused approach and attention to detail in every aspect of my training has produced results that I never thought I could achieve. Your passion for healthy nutrition helped me to embrace a healthier life style which has revolutionized my diet. You never know who is watching, More is caught than taught, just ask your kids. I say that to solidify my stance on how you lead by example. Also, I am amazed how you and your family has handled adversity in the wake of Hurricane Harvey and continued to be steadfast in your coaching and helping others. It is just another testimony to your character. Well done coach! I am proud to be your athlete and your friend. After my thyroid issues and struggling with shredding fat while maintaining good athletic performance, I reached out to Jessica. I used to always have sugar bonks after running or high intensity workouts. Since adjusting my food I no longer have those sugar drops. I’m now burning more fat and I can see my abs! I feel great and I’m always satisfied and full. No fads, no gimmicks, just science and a little change in thinking from what many of us are told about how to burn more fat. © 2019 Baxter Performance. All rights reserved.